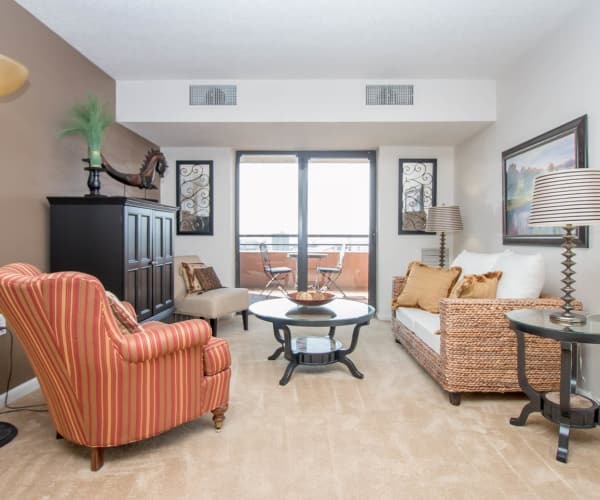 Enjoy ample living space with all the elements you want at River Park Tower Apartment Homes. One bedroom floor plans measure 700 square feet. Two bedrooms have a trio of options, at 1,062, 1,098, and 1,164 square feet. Luxuriate in a three bedroom layout sized at 2,016 square feet. All apartments for rent undergo the stringent Morgan Properties 101-point checklist, ensuring your new apartment home meets the most discerning standards for ease of living, cleanliness, and reliability. Peruse the full menu of features on our Amenities page. River Park Tower Apartment Homes stands tall as a supreme value in hi-rise apartment living on the James River. Schedule your tour today.